Are you looking for awesome recycled bags or accessories but nothing seems original enough? 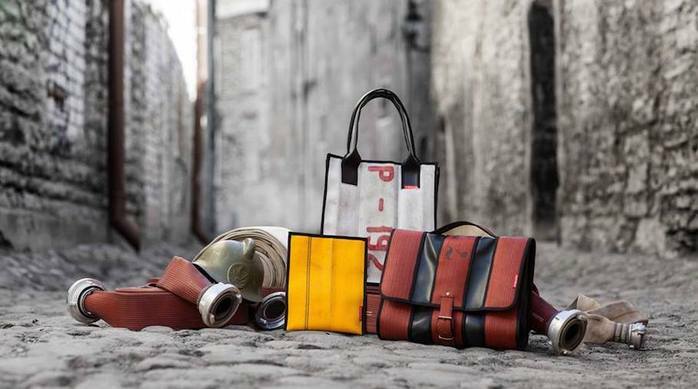 What about a bag made out of a recycled fire hose? You get a one of a kind design, as every product is different, depending on the color, texture, wear and tear of the hose it was made of. You get a bag that is durable, definitely water resistant and has a history behind it. You help save resources, like animal skins, new fibers and fossil fuels, that are used to create bags from scratch. Check out the Hoseware collection and you will be impressed by the variety of colors and designs available, made from what used to be considered waste. Let other people know what it is you like about Hosewear and why it is an ethical company worthy of checking out. Or flag a concern, if you have any.